Here’s a list of my publications to date. “A web-based service for disturbing image detection.” With Markos Zampoglou, Symeon Papadopoulos and Yiannis Kompatsiaris. In: Multimedia Modeling. Edited by Laurent Amsaleg, Gylfi Þór Guðmundsson, Cathal Gurrin, Björn Þór Jónsson and Shin’ichi Satoh. Springer 2017, pp. 438-441. ISBN: 978-3-319-51813-8 (Print) 978-3-319-51814-5 (Online). 10.1007/978-3-319-51814-5_37. “User Generated Content and its Implications for Journalism.“ Conference proceedings of “Web Multimedia Verification” Workshop (#wemuv2015) as part of ICME Conference in Torino, 29 June 2015. An edited version of the text is available on this blog. “Emerging Journalistic Verification Practices Concerning Social Media.” With Petter Bae Brandzæg, Marika Lüders, Linda Rath-Wiggins and Asbjørn Følstad. Published in Journalism Practice, 10(3), 323-342, March 2015. DOI:10.1080/17512786.2015.1020331. Available here (open access). “Social media as a trustworthy news source: Exploring journalists’ working practices concerning social media.” With Petter Bae Brandzæg, Marika Lüders, Linda Rath-Wiggins and Asbjørn Følstad. Presented at third International Symposium on Media Innovations in Oslo, Norway (ISMI 2014) and honored with “Best Paper Award”. “SocialSensor: Sensing User Generated Input for Improved Media Discovery and Experience.” With Diplaris, S.; Papadopoulos, S.; Kompatsiaris, I.; Hacid, H.; Maknavicius, L.; Goker, A.; Macfarlane, A., Klusch, M.: Conference paper for WWW 2012 / 21st World Wide Web Conference 2012. Lyon, 2012. Available on http://bit.ly/J6JhyX. “The press distribution system in the United Kingdom”. In: Haller, Michael: “Distribution of the Press and Freedom of Information in Europe.” [Title translated. Original title: Pressevertrieb und Informationsfreiheit in Europa. Zur Funktionsleistung des Grosso-Systems in ausgewählten Staaten der Europäischen Union]. Baden-Baden, Nomos, 2004. “Digital Content for Global Mobile Services”, published by EU/DG XIII, 2002, written by Andersen Consulting. Resulting from membership and advice provided in the context of the EC’s Mobile Multimedia Steering Committee (2001-2002), initiated by the EC’s DG Information Society, in which I was part of the Advisory Group. Mitarbeit an “The Computer as a Medium for Media Integration” [title translated]. Participation in the project covering electronic commerce, teleworking, virtual relationships and cybersex, teleteaching as well as online information, entertainment and games. Published in: Beck, Klaus/ Glotz, Peter/ Vogelsang, Gregor: “The Future of the Internet. 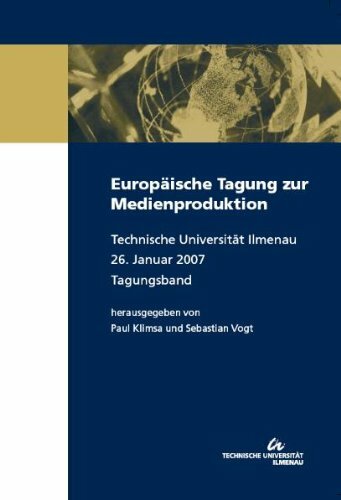 International Delphi Study Regarding the Development of Online Communication.” [title translated] Konstanz: uvk Medien, 2000. “Recommendations of the Broadcasting Expert Group I&II for the EC’s 5th Framework Programme.” Published by the European Commission, DGXIII, Electronic Publishing, 1998. Mal etwas ganz anderes… : Anita – Siegerin des Wettbewerbs. Artikel in der taz am Wochenende vom 20. Juni 1998. “The BBC in Transition. Reasons, Results and Consequences.” Deutscher Universitätsverlag, Wiesbaden, 1997. Republished by Springer and available here. Or on Amazon. Eine Buchbesprechnung von Angela Krewani findet sich hier (Link zu pdf-Datei). 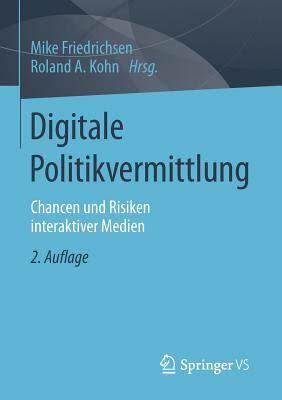 Mitarbeit an “Die Internet-Ökonomie: Strategien für die digitale Wirtschaft.” Hrsg. : European Communications Council. Springer-Verlag, Berlin, Heidelberg, New York, 2001. “Distribution of Newspapers and Magazines in the United Kingdom.” In: Knoche, Manfred and Zerdick, Axel: Distribution of Newspapers and Magazines in Europe. [title translated] Unpublished report for Deutsche Bundespost. 1995. 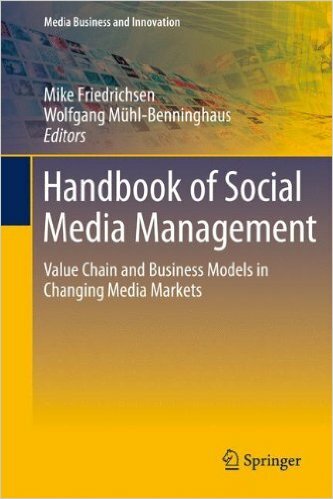 Three contributions in: Bauer, Michael/ Gebhardt, Marie/ Stegat, Holger (eds. ): “Ireland – Germany: Division versus Unification.” [title translated] Berlin: Profil Verlag, 1991.